Phantom of the Opera. This picture makes me happy (:. 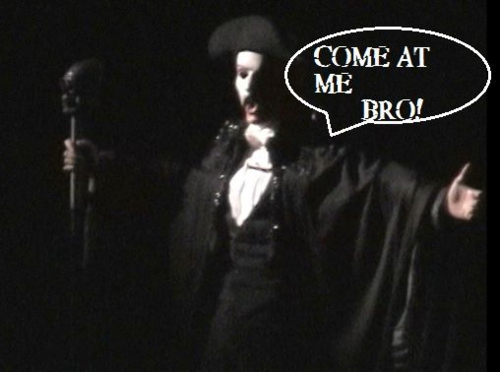 Wallpaper and background images in the Das Phantom der Oper club tagged: the phantom of the opera erik. This Das Phantom der Oper photo contains konzert. There might also be gitarrist, geschäftsanzug, and business-anzug. lol that's pretty much how he looks at life:P!